1. 1, 2, 3, 4, 5, 6, 7, 8, 9, 10! She was pretty impressed with the group effort! Do you think their teachers in school will let them collaborate on math homework? Hehe! I love ice cream. Especially when it's FREE! Sean and I briefly escaped on Tuesday while my Mom hung with the kids. 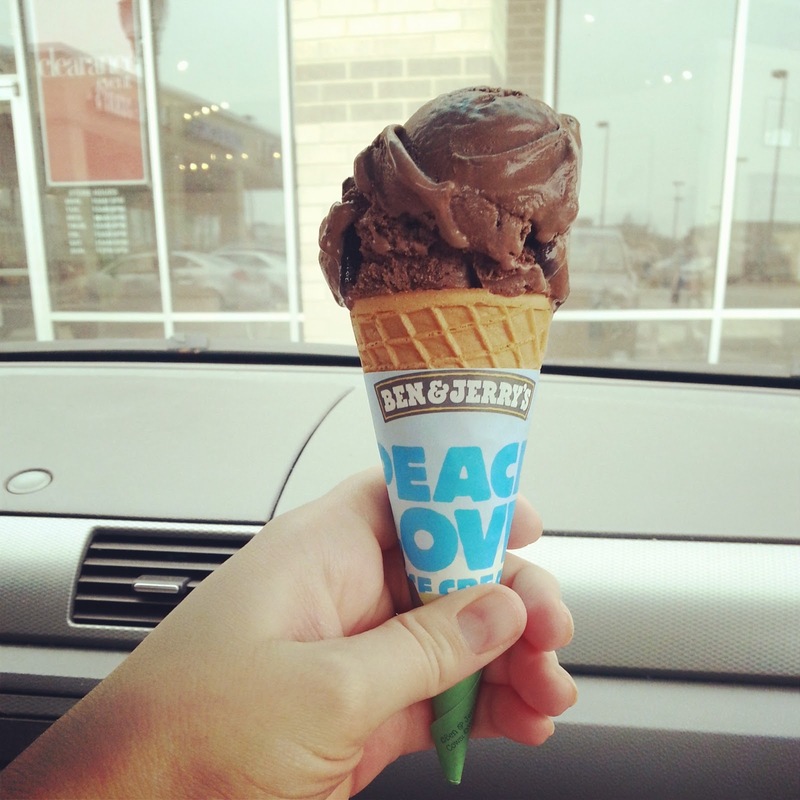 Of course we had to stop by Ben and Jerry's for Free Cone Day! I had a scoop of New York Super Fudge Chunk. Yummy! It happens once a year about this time. Mark your calendars for 2014! An informal FaceBook poll on my personal page and instagram showed that I'm not the only one who gets excited when asparagus comes into season. 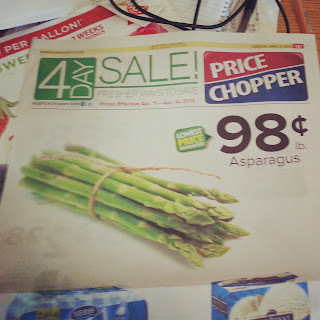 We love asparagus at our house, but never get it when it's not on sale. $2.99 lb for a vegetable? Uh, I don't think so. Imagine my delight when I looked through the sale ads and saw that it's only $0.98 lb at Price Chopper this week! You can be sure that asparagus will be on our menu next week at least once (if not twice!). What do you think? Am I weird for letting asparagus make it on to my Little Things Thursday list? I love when asparagus is on sale too! I love love love the stuff, but agree, it is too pricey to get it unless it is on sale. We grabbed a bunch and have had it three days this week! :) Great hop. I hope to join next time. My DS5 is has troubles sounding out some letters. I can understand him (cause I'm Mommy and that's just what I do) but some others can't and I have found that lately there are a few (very few) that I am not understanding. We finally have an appointment set up for the 24th with a speech therapist. And I can't wait; he is also getting a little tired of having to repeat himself. Here's to hoping it works! I also grabbed a few bundles of asparagus today too! I've read to blanch before freezing, so I think I will try a few batches because this is such a good deal! No blog, but I DO love Little Things Thursdays almost (!) as much as I love asparagus! Yummmy! Roasted, steamed, with pasta, or wrapped with prosciutto and roasted about 10 minutes. Love checking in here from time to time to see how the Ishum Quads are growing and changing.